The Natural Resources Program Area includes the latest guidance, examples, and information resources to aid Federal facilities in managing endangered or threatened species, wetlands, erosion control, habitat development, native landscaping, and wildlife in general. Please use the links above to quickly jump to the information area needed or scroll down to view all items. Signed on 8 November 2013, this manual establishes implementing guidance to manage DoD's natural resources for mission and stewardship purposes. Specifically, the manual: 1) clarifies and provides detailed guidance for how to implement DoDI 4715.03 "Natural Resources Conservation Program" published in March 2011; 2) creates streamlined procedures for required annual and five-year INRMP reviews with federal and state regulators, reducing the approval time for proposed actions; and 3) establishes new performance metrics to better evaluate how natural resources management enables the military mission and supports the long-term and sustainable use of habitats at a landscape level. This Department of Defense Instruction 4715.03, signed 14 February 2011, is a major update of DoD guidance established in 1996. It formalizes policies and procedures for the integrated management of natural resources on military lands, air, waters, coastal, and nearshore areas managed or controlled by the Department of Defense. The DoDI updates programming and budgeting priorities, and establishes new performance metrics to better evaluate how natural resources management can enable the military mission and ensure long-term health of installation ecosystems. This guidance was affirmed as remaining in effect in the Implementing Instructions for EO 13693. This guidance is to be used by Federal agencies for landscape practices when constructing new, or rehabilitating existing, owned or leased facilities, or when landscaping improvements are otherwise planned. The guidance is originally dated 31 October 2011 and was supplemented on 22 October 2014. This Presidential Memorandum directs Federal agencies to take steps to protect and restore domestic populations of pollinators. This act (16 USC 1451-1464, last amended in November 1990), is the Federal legislation that governs the preservation and management of coastal waters in the nation. Under this EO, the Federal Government must provide leadership in protecting and enhancing the quality of the nation’s environment to sustain and enrich human life. Federal agencies must initiate measures needed to direct their policies, plans and programs so as to meet national environmental goals. This EO implements NEPA, the National Flood Insurance Act of 1968, and the Flood Disaster Protection Act of 1973. This EO specifies that ORVs may not be used without special use and location designation. This EO mandates that Federal agencies will, to the extent permitted by law and where practicable--and in cooperation with Tribes, States, local governments, and interested citizen groups--protect, connect, promote, and assist trails of all types throughout the United States. 3. provide funding to the Office of the Environmental Quality Mgmt Fund for a Conference. The focus of this EO is artic environmental stewardship. It is the policy of the United States to enhance the resilience of the northern Bering Sea region by conserving the region's ecosystem, including those natural resources that provide important cultural and subsistence value and services to the people of the region. This document, published August 9, 1995 in the Federal Register, announces guidance developed by the interagency workgroup under the direction of the Office Federal Environmental Executive (OFEE) to assist federal agencies in the implementation of environmentally and economically beneficial landscape practices. This October 2014 document is an addendum to the Sustainable Practices for Designed Landscapes guidance and includes new information on landscape design and maintenance as part of the National Pollinator Health Strategy. These guidelines apply to all Federal agencies and activities that are subject to the provisions of EO 13514. The Addendum applies to agencies constructing new or rehabilitating existing owned or leased facilities, or otherwise implementing landscaping practices on agency-owned or leased land or space. It supports pollinator habitat, beyond the building footprint, in agency efforts to meet the goals of the National Pollinator Health Strategy. This Act (16 USC 670a-670f) authorizes the Secretary of Defense to carry out a program to provide for the conservation and rehabilitation of natural resources on military installations. The Act was last reauthorized until 2019 under the National Defense Authorization Act of 2014. This act, Public Law 93-629 (7 USC 2814), established a Federal program to control the spread of noxious weeds. This act (16 USC 1133), originally dated September 3, 1964, mandates that each agency administering any area designated as wilderness is responsible for preserving the wilderness character of the area. When the agency uses the area for another purpose, it will do so in a manner that preserves the wilderness character. This act (16 USC 1271-1287, last amended in May 1991) outlines the policy of the United States that certain selected rivers of the nation which, with their immediate environments, possess outstandingly remarkable scenic, recreational, geologic, fish and wildlife, historic, cultural, or other similar values, must be preserved in free-flowing condition, and that they and their immediate environments must be protected for the benefit and enjoyment of present and future generations. The purpose of this act (16 USC 1531-1547, et al., last amended in October 1988), is to provide a means whereby the ecosystems upon which endangered species and threatened species depend may be conserved, to provide a program for the conservation of such endangered species and threatened species, and to take such steps as may be appropriate to achieve the purposes of the treaties and conventions for protection of endangered species (16 USC 1531(b)). Under ESA, the policy of Congress is that all Federal departments and agencies must seek to conserve endangered species and threatened species and must use their authorities in furtherance of the purposes of this act. Further, Federal agencies must cooperate with state and local agencies to resolve water resource issues in concert with conservation of endangered species (16 USC 1531(c)). This EO mandates that Federal agencies, to the extent permitted by law and where practicable, improve the quality, function, and sustainable productivity and distribution of U.S. aquatic resources for increased recreational fishing opportunities. It also established the National Recreational Fisheries Coordination Council. This EO mandates strengthening the management, protection, and conservation of existing marine protected areas (MPA) and establishment of new or expanded MPAs; the development of a scientifically based, comprehensive national system of MPAs representing diverse U.S. marine ecosystems and the Nation’s natural and cultural resources; and the avoiding causing harm to MPAs through federally conducted, approved, or funded activities. This EO directs executive departments and agencies to take certain actions to further implement the Migratory Bird Treaty Act. The EO requires that each Federal agency taking actions that have, or are likely to have, a measurable negative effect on migratory bird populations is directed to develop and implement, within 2yr, a Memorandum of Understanding (MOU) with the Fish and Wildlife Service (Service) that shall promote the conservation of migratory bird populations. Under this EO, the SOI will establish the interagency Council for the Conservation of Migratory Birds (Council) to oversee the implementation of the EO. This act (16 U.S.C. 2901-2911) encourages Federal departments and agencies to utilize their statutory and administrative authority to the maximum extent possible to conserve and protect non-game fish and wildlife and their habitats. This act (16 USC 666c, last amended in July 1965), is the Federal legislation that coordinates programs and activities regarding the conservation and rehabilitation of fish and wildlife in the United States. Developed by the U.S. Fish and Wildlife Service (Service), the guidance describes a crediting framework for Federal agencies in carrying out recovery measures for threatened and endangered species. Under the guidance, Federal agencies may show how adverse effects of agency activities to a listed species are offset by beneficial effects of actions taken elsewhere for that species. The combined effects of the adverse and beneficial actions must provide a net benefit to the recovery of the species. This act, (16 USC 1362 - 1407) states policy to prevent the extinction or depletion of marine mammals as a result of man's activities. It further encourages the development of international arrangements for research on and conservation of all marine mammals. This act (16 USC 1401 - 1444) declares that the United States will strictly limit all dumping into the ocean of any material which would adversely affect human health, welfare, or amenities, or the marine environment, ecological systems, or economic potentialities. This act (16 USC 703-711, last amended in December 1989), is a Federal law that enforces international conventions for the protection of migratory birds and game animals to which the United States is a party. Dated 19 May 2015, the Strategy outlines a comprehensive approach to tackling and reducing the impact of multiple stressors on pollinator health, including pests and pathogens, reduced habitat, lack of nutritional resources, and exposure to pesticides. This document will guide federal land managers to effectively and efficiently use available resources and engage public and private partnerships in taking action for the conservation and management of pollinators and pollinator habitat on federal lands. This is the DRAFT 11 May 2015 version. This March 2016 Action Plan lays out a series of activities to fulfill the President's drought-resilience goals. Furthermore, this Action Plan outlines the ways in which the member departments and agencies of the National Drought Resilience Partnership can use existing resources to take additional steps to work with State, regional, tribal, and local partners to respond to drought and lay the founda¬tion for long-term resilience within existing authorities. This Action Plan brings together a wide range of initiatives and concepts to build stronger drought-resilience capabilities. To assist the reader, an Appendix has been included to provide a list of acronyms used throughout the Action Plan. This memorandum, dated 16 March 2016, states that "It is the policy of the Federal Government to coordinate and use applicable Federal investments, assets, and expertise to promote drought resilience and complement drought preparedness, planning, and implementation efforts of State, regional, tribal, and local institutions. In addition, where appropriate, the Federal Government shall seek partnerships with such institutions and the private sector in order to increase and diversify our Nation's water resources through the development and deployment of new technologies and improved access to alternative water supplies." The memorandum also encourages Federal agencies to implement policies and take actions to achieve drought resilience goals including supporting efforts to conserve and make efficient use of water by carrying out relevant research, innovation, and international engagements. This December 2015 White House strategy document outlines the impact of climate change on already-strained water resources, actions by the Obama Administration to address water resource challenges, and an aggressive two-part water innovation strategy to accelerate ongoing progress with the goals of: 1) Boosting water sustainability through the greater utilization of water-efficient and water reuse technologies; and 2) Promoting and investing in breakthrough R&D that reduces the price and energy costs of new water supply technology. This Convention was created on 2 February 1971, in Ramsar, Iran amended by Paris Protocol of 3 December 1982, and entered into force for the United States on 18 December 1986. Each country must promote the conservation of wetlands and waterfowl by establishing nature reserves on wetlands and provide adequately for their wardening (Article 4, para 1). The current Federal delineation manual, dated January 1987, used in the Clean Water Act Section 404 regulatory program for the identification and delineation of wetlands. Except where noted in the manual, the approach requires positive evidence of hydrophytic vegetation, hydric soils, and wetland hydrology for a determination that an area is a wetland. Under this EO each Federal agency must provide leadership and take action to minimize the destruction, loss or degradation of wetlands, and to preserve and enhance the natural and beneficial values of wetlands. 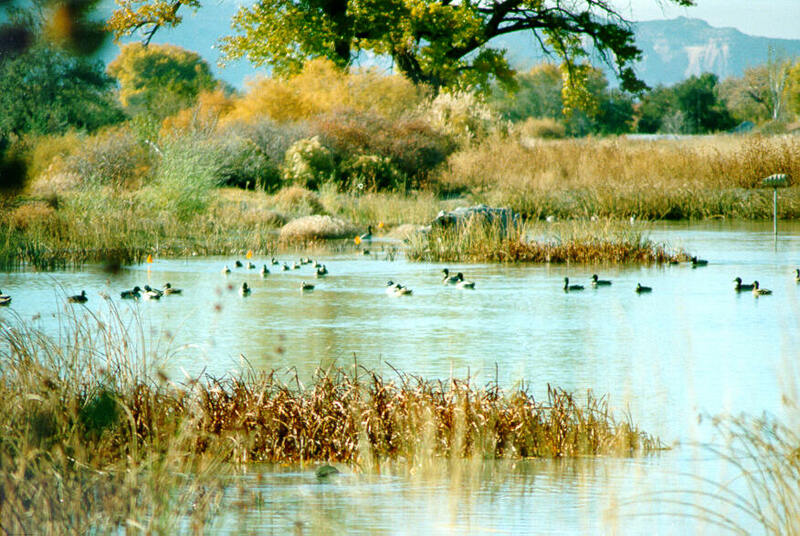 Each agency, to the extent permitted by law, must avoid undertaking or providing assistance for new construction located in wetlands unless the head of the agency finds: there is no practical alternative to such construction; the proposed action includes all practical measures to minimize harm to wetlands that may result from such use. In making this finding the head of the agency may take into account economic, environmental and other pertinent factors (Section 2(a)). Each agency must also provide opportunity for early public review of any plans or proposals for new construction in wetlands (Section 2(b)). Originally this Act authorized the Surgeon General of the Public Health Service, in cooperation with other Federal, state and local entities, to prepare comprehensive programs for eliminating or reducing the pollution of interstate waters and tributaries and improving the sanitary condition of surface and underground waters. The original statute also authorized the Federal Works Administrator to assist states, municipalities, and interstate agencies in constructing treatment plants to prevent discharges of inadequately treated sewage and other wastes into interstate waters or tributaries. Since 1948, the original statute has been amended extensively either to authorize additional water quality programs, standards and procedures to govern allowable discharges, funding for construction grants or general program funding. Amendments in other years provided for continued authority to conduct program activities or administrative changes to related activities. This act (16 .SC 4401-4413), dated 13 December 1989, was promulgated to conserve North American wetland ecosystems and waterfowl and the other migratory birds and fish and wildlife that depend upon such habitat. The act encourages partnership among public agencies and other interested to: protect, enhance, restore, and manage an appropriate distribution and diversity of wetland ecosystems and other habitats for migratory birds and other fish and wildlife in North America; maintain current or improved distribution of migratory bird populations; and sustain an abundance of waterfowl and other migratory birds consistent with the goals of the North American Waterfowl Management Plan and the international obligations contained in the migratory bird treaties and conventions and other agreements with Canada, Mexico, and other countries. This EPA site helps people find information on the condition of thousands of lakes, rivers and streams across the United States from their smart phone, tablet or desktop computer. It uses mobile device location or a user-entered zip code or city name to provide information about the quality of local water bodies. Through the Sentinel Landscapes partnership, the U.S. Department of Agriculture (USDA), U.S. Department of Interior (DOI) and Department of Defense (DOD) will work together near military installations to help farmers and ranchers make improvements to the land that benefit their operation, enhance wildlife habitat, and enable DOD's training missions to continue. This is a PC-based ecosystem model that predicts the fate of nutrients and organic chemicals in water bodies, as well as their direct and indirect effects on the resident organisms. Aquatox is released by the U.S. Environmental Protection Agency, Office of Science and Technology. Developed by EPA, there are separate surveys available for marine beach sanitary surveys, Great Lakes sanitary surveys, as well as other related sanitary survey information and examples. An online directory of information about the water quality at our nation's beaches, local protection programs, and other beach-related programs. The website is updated as new information becomes available. An on-line system that helps investigators in regions, states, and tribal areas to determine the most likely causes of aquatic impairments and recommend appropriate remedial, regulatory, or restorative actions. CADDIS I provides online data about biological causes of water impairments to decisionmakers. It also provides a step-by-step guide, worksheets, and real-life examples to assist scientists and engineers to find, access, organize, share, and use environmental information to evaluate causes of biological effects on aquatic ecosystems, according to EPA's Office of Research and Development. Queries current HCP, SHA, CCA & CCAA data and allows the user to customize the request and format the output to meet the user's needs. View FWS designated critical habitat, see reports on critical habitat, and retrieve spatial data and meta data. Sponsored by the Western Governors' Association, this is a cooperative effort of 16 Western states to provide the public and industry an overview of crucial habitat across the West. The tool was designed to help planners be better informed about wildlife priorities early in the process so they can be better prepared as they engage in permitting with state and federal agencies. This NOAA-sponsored website is focused on helping communities address coastal issues. The website provides not only coastal data, but also the tools, training, and information needed to make these data truly useful. Content comes from many sources, all of which are vetted by NOAA. Data sets range from economic data to satellite imagery. The site contains visualization tools, predictive tools, and tools that make data easier to find and use. Training courses are available online or can be brought to the user's location. Information is also organized by focus area or topic. ESIS is the repository for the data associated with the collection of forestland and rangeland plot data and the development of ecological site descriptions. ESIS is organized into two applications and associated databases. The Ecological Site Description (ESD) application and the Ecological Site Inventory (ESI) application. The purpose of this web-based tool is to help a variety of stakeholders evaluate the economic and social impacts of pollution controls needed to meet water quality standards set for specific uses for a waterbody, such as swimming or fishing. This tool could be used by states, territories, tribes, local governments, industry, municipalities and stormwater management districts. The tool will help stakeholders identify and organize the necessary information, and perform calculations to evaluate the costs of pollution control requirements necessary to meet specific water quality standards. The tool prompts users to submit treatment technology information, alternative pollution reduction techniques and their costs and efficiencies, and financing information, as well as explain where that information can be found. Developed by the Natural Resources Conservation Service (NRCS), energy consumption tool enables you to estimate energy cost of pumping water in the irrigation operations on your facility. This is a web-based interactive tool that integrates over 300 separate data layers, helps decision makers understand the implications of planning and policy decisions on our fragile ecosystems and the communities who depend on goods and services from these ecosystems. EnviroAtlas is designed for people from all levels of government, professionals, researchers, educators, non-governmental organizations, and anyone interested in considering the benefits or impacts of a decision, such as siting a new road or city park. EnviroAtlas uses seven broad benefit categories to organize its information and data on ecosystem services: Clean Air, Clean and Plentiful Water, Natural Hazard Mitigation, Climate Stabilization, Recreation, Culture and Aesthetics, Food, Fuel and Materials, and Biodiversity Conservation. ECOS provides a variety of reports related to FWS Threatened and Endangered Species. The Toolbox, sponsored by the U.S. Army Corps of Engineers (USACE) is a dynamic, evolving and comprehensive "one-stop-shop" water resources data portal with direct links to valuable databases, innovative programs and initiatives and state-of-the-art models and tools. This website also serves as a leading-edge resource for sharing ideas and water resources needs, best management practices, collaborations and partnerships and more for the water resources community in the U.S. and internationally. This EPA online newsletter providing information on fish and shellfish issues, including human health impacts of eating fish, ecological issues associated with fish, recently published research and other related topics. EPA will publish the newsletter monthly. FishBase a global information systems on fishes and is a relational database with information to cater to different professionals such as research scientists, fisheries managers, zoologists and many more. FishBase on the web contains practically all fish species known to science. FishBase was developed at the WorldFish Center in collaboration with the Food and Agriculture Organization of the United Nations (FAO) and many other partners, and with support from the European Commission (EC). This website provides ready access to federally maintained geospatial data, services and applications. The website makes it possible for users to create customized maps using federal geospatial data and common geographic maps. They also can integrate their own data into the maps, and share the maps through Web browsers and mobile applications. The platform was developed by the Federal Geographic Data, an interagency committee chaired by the Secretary of the Interior. The panel also includes members from the Office of Management and Budget, Environmental Protection Agency and the National Oceanic and Atmospheric Administration. Examples of maps in the system include: EPA cleanup sites; National Wetland Inventory; USA Soil Survey; and the USGS National Map. If you have a project that may affect USFWS trust resources, such as migratory birds, species proposed or listed under the Endangered Species Act, inter-jurisdiction fishes, specific marine mammals, wetlands, and Service National Wildlife Refuge lands, IPaC can help you determine what those impacts are likely to be and provide suggestions for addressing them. i-Tree is a state-of-the-art, peer-reviewed software suite from the USDA Forest Service that provides urban forestry analysis and benefits assessment tools. The i-Tree Tools help communities of all sizes to strengthen their urban forest management and advocacy efforts by quantifying the structure of community trees and the environmental services that trees provide. The suite includes tools for simulating the effects of changes in tree and impervious cover characteristics within a watershed on stream flow and water quality and a quick and easy way to produce a statistically valid estimate of land cover types (e.g., tree cover) using aerial images available in Google Maps. This system was created by the U.S. Geological Survey (USGS) to catalog legacy land treatment information on Bureau of Land Management lands in the western United States. The LTDL can be used by federal managers and scientists for compiling information for data-calls, producing maps, generating reports, and conducting analyses at varying spatial and temporal scales. The LTDL currently houses 21,510 treatments from BLM lands across 9 states. As used in this context, a land treatment involves the manipulation of vegetation, including removal or alteration of plant biomass, seeding of burned areas, application of herbicides, and other activities. This watershed modeling system includes streamlined Hydrologic Simulation Program Fortran (HSPF) algorithms for simulating hydrology, sediment, and general water quality on land as well as a simplified stream transport model. LSPC is derived from the Mining Data Analysis System (MDAS), which was developed by EPA Region 3 and has been widely used for mining applications and TMDLs. A key data management feature of this system is that it uses a Microsoft Access database to manage model data and weather text files for driving the simulation. The system also contains a module to assist in TMDL calculation and source allocations. For each model run, it automatically generates comprehensive text-file output by subwatershed for all land-layers, reaches, and simulated modules, which can be expressed on hourly or daily intervals. Output from LSPC has been linked to other model applications such as EFDC, WASP, and CE-QUAL-W2. LSPC has no inherent limitations in terms of modeling size or model operations. The Microsoft Visual C++ programming architecture allows for seamless integration with modern-day, widely available software such as Microsoft Access and Excel. This is a climate-visualization website tool from the Interior Department's U.S. Geological Survey. The tool gives citizens and resource managers the opportunity to look at climate-driven impacts on watersheds and map projected changes at the local, regional, state and watershed levels. The tool includes the historical and future climate projections from 30 of the downscaled models for two of the RCP emission scenarios, RCP4.5 and RCP8.5. The tool also allows users to visualize projected changes in climate (maximum and minimum air temperature and precipitation) and the water balance (snow water equivalent, runoff, soil water storage and evaporative deficit) for any state, county and USGS Hydrologic Units (HUC). EPA's portal for reporting environmental results for the National Estuary Program. This portal provides access to groundwater data from multiple, dispersed databases in a web-based mapping application. The portal contains current and historical data including water levels, water quality, lithology, and well construction.The portal is sponsored by the Advisory Committee on Water Information (ACWI). This dashboard displays the results of the most recent National Lakes Assessment (NLA) which evaluated the biological, chemical, physical, and recreational condition of lakes in the United States. This is the National Ocean Council's portal for data, information, and tools to support people engaged in planning for the future of the ocean, our coasts, and the Great Lakes. The goal is to be a one-stop hub to support planners and to provide useful information to the public. Contains information on the characteristics, extent, and status of the Nation's wetlands and deepwater habitats and other wildlife habitats. Developed by the EPA's National Estuary Program (NEP), NEPmap contains more than a decade's worth of NEP habitat data and provides a large set of data layers to enable viewing of NEP habitat information in a wider environmental context. The NEPmap allows users to view water quality conditions in their estuary and surrounding watershed alongside NEP habitat projects. NEPmap users can also generate and print maps and reports, change map scales, turn on and off background layers and interact with information points to provide a greater level of detail than a traditional static map. This system is designed to be a single point of access to NOAA coral reef information and data products, especially those derived from NOAA's Coral Reef Conservation Program. The data includes biological data, location data, and photographs. This web portal was developed to serve as a coordinated, multi-agency regional framework to map and store continuous stream temperature locations and data for New England, Mid Atlantic, and Great Lakes States. NorEaST consists of: a mapper where the public can view locations and metadata for current and historic stream temperature monitoring sites; a database where data stewards can store and manage their data; and Web services to connect, communicate, and serve data for use in analysis and applications. This EPA web-based application that will allow users to easy access to chemical-specific information from the Office of Pesticide Programs' website and several other important sources. Pesticide Chemical Search is designed to consolidate information related to pesticide chemicals (active ingredients), making it easier to find related regulatory and scientific information. This database maintains and generates data reports in specialized areas such as invasive and noxious species as well as threatened and endangered species. This free tool which shows rangeland resources from America's Great Plains to the Pacific Ocean. Publicly available, it's built for landowners, managers, and conservationists. See the types of plants covering U.S. rangelands at pasture, landscape, or regional scales and monitor changes over time. Designed to inform land management and conservation strategies. This tool helps people plan conservation and management actions that improve grazing lands, bolster valuable water and soil resources, and prevent weeds and wildfire. This report summarizes the EPA research findings on the best practices for building roadside vegetative barriers to improve air quality. This website provides technical assistance for restoration programs to help them consider where to invest their efforts for greater likelihood of success, based on the traits of their own geographic area's environment and communities. There are three main website components. Step-by-step instructions in recovery potential screening provide watershed managers with a methodology for comparing restorability differences among their waters. The steps in the methodology link to several online tools and resources that are used in recovery potential screening. A library of recovery potential indicators offers technical information on specific recovery-related factors (ecological, stressor, and social), how they influence restorability, and how to measure them. Coral reefs provide the ecological foundation for productive and diverse fish and invertebrate communities. Yet, reefs continue to be threatened by human activities. It is often difficult to predict the indirect consequences and benefits of decisions. There is a need for a decision framework which integrates environmental concerns with social and economic needs. EPA scientists have developed the ReefLink Database utilizing a systems approach to do just that. The database employs the Driver-Pressure-State-Impact-Response (DPSIR) framework as one approach that can assist in the decision making process. In 2014, federal facilities were directed to help reverse pollinator losses and restore populations for this crucial group of animals. Since receiving this direction many federal facilities have been working to increase their pollinator habitat and reporting their successes to the FGC. This Federal Green Challenge webinar presented 18 July 2018 will help facilities focus on increasing the amount of milkweed available for monarchs though the use of new mapping tools and a case study from a federal facility that has increased the amount of milkweed on its landscape. This is a downloadable tool for water managers to estimate a wide variety of streamflow statistics. This site is a unique interactive map, covering 13 US states and 4 Canadian provinces. The map includes: complete coverage of the Northeast's 140 common and unique terrestrial habitats, from the serpentine ridges of the Gaspe Peninsula to the limestone barrens of western Virginia; information on each habitat's ecology, plants and animals, securement level, regional abundance, and predicted loss to development; base maps to explore how the Habitat Map overlays on satellite imagery or topographic maps; and scientifically rigorous datasets, reports, and an interactive web map. The map and data were created by The Nature Conservancy with funding from the Northeast Climate Science Center and The North Atlantic Landscape Conservation Cooperative. The map uses a classification system adapted from the U.S. National Vegetation Classification and Canadian Nation Vegetation Classification in consultation with NatureServe and its partners. Mapping methods were developed by The Nature Conservancy's Eastern Conservation Science team, with help from The Nature Conservancy of Canada and the Atlantic Conservation Data Centre. This database includes the results of environmental monitoring and research efforts on wave, tidal, and current energy development worldwide. Called "Tethys," after the Greek titaness of the ocean, the database will help industry regulators and energy project developers deploy sustainable ocean energy projects in an environmentally responsible manner. The objective of this tool kit is to provide a user-friendly, web-based source of methods, strategies, and procedures for integrating land use and transportation planning, decision-making, and project implementation. VegSpec uses expert rules to compare the combined user input and system-generated derivatives with a plants database containing approximately 2000 species. Plant species that meet all criteria are listed for user review. From EPA, this is a software package designed for developing site-specific Multiple Linear Regression (MLR) models for the prediction of pathogen indicator levels at recreational beaches. This EPA project seeks to support Tribes in submitting and maintaining data submissions to the Water Quality eXchange (WQX). The Microsoft Excel®-based tool generates a road map document, in rich text format (.rtf), that guides a Tribe through working with water quality data and how they can approach data management and submissions. An integrated information system for the nation's surface waters. The EPA Office of Water manages numerous programs in support of the Agency's water quality efforts. Many of these programs collect and store water quality related data in databases. Under WATERS, the Water Program databases are connected to a larger framework which is a digital network of surface water features, known as the National Hydrography Dataset (NHD) By linking to the NHD, one Water Program database can reach another, and information can be shared across programs. WMOST is a decision support tool that facilitates integrated water management at the local or small watershed scale. Integrated water management involves coordination across multiple programs for land, water, and related resources (stormwater, wastewater, drinking water, land conservation) to find sustainable and cost-effective solutions. WMOSTv3 has an associated theoretical documentation report as well as a detailed user guide. While version 2 only included management options related to water quantity, version 3 of WMOST also includes water quality management. Users can identify least-cost solutions to meet water quality criteria for lakes or streams/rivers, pollutant loading targets, and/or minimization of combined sewer overflows. Version 3 also includes riparian buffer zone restoration or conservation, a few agricultural BMPs, and additional stormwater best management practices, both structural, such as rain gardens and nonstructural, such as street sweeping. The Hydroprocessor, a program which formats output from watershed models such as SWAT and HSPF for input to WMOST, is also included. This site provides information and tools developed by EPA to assist with the development and implementation of effective watershed management plans. WeedSite is a software program that evaluates the effects of site-specific weed management (SSWM), selecting the best management strategies for targeting weed patches in their fields. View and print maps or download newest custom wetland digital data. This quarterly newsletter highlights stewardship activities conducted by Department of Defense installations throughout the watershed. Steppingstones, a Department of Defense Partners in Flight Program (DoD PIF) newsletter, reports on issues of interest to those interested in bird conservation on military lands. Through this Bulletin, the U.S. Fish and Wildlife Service disseminates information on rulemakings, recovery plans and activities, conservation partnerships, research developments, and a variety of other issues. It is distributed on-line four times per year. An online newsletter about responsible forestry and green building. This document is a picture of the extent of beach monitoring in U.S. coastal and Great Lake waters. The List provides information to the public about beaches in their state. It will also help EPA determine how to better implement the BEACH Act. EPA compiled this list using information submitted by states and territories to EPA as of January 31, 2008. This is a DoD-sponsored newsletter issued as a part of their Natural Resources Program. The newsletter updates the status of the program, provides information on training and meetings, and highlights success stories and future plans. The Society for Ecological Restoration International provides RESTORE as a service to the restoration community. Subscription is open to anyone who is interested in sharing and/or learning about opportunities or information relevant to ecological restoration (conferences, workshops, jobs, informal requests, etc.). Listed events and announcements are not necessarily endorsed by SER. RESTORE is sent out as often as newsworthy events are submitted. A Federal Highway Administration monthly newsletter highlighting current environmental streamlining practices from around the country. The newsletter is mailed out twice a year, generally in January and July. Provides information on wetlands management in Texas as well as listing classes and event of possible interest. This is an online newsletter published by the Water Environment Federation (WEF) that highlights the latest in stormwater industry news. The three sections of the newsletter -- news, features, and events -- cover advanced practices, local programs, and case studies as well as policy updates, grant opportunities, and financing options. The newsletter also spotlights cutting-edge research in addition to industry tools and reports. Articles are published throughout the month on The Stormwater Report website and are distributed by email as a monthly digest to about 30,000 stormwater professionals. This library contains on-line resources on water conservation and efficiency. Subject matter covered in the library include: drought management, alternative supplies, conservation programs, water saving tips, residential efficiency, and metering. Items in this collection were originally submitted to the NOAA Office of Ocean and Coastal Resource Management (OCRM) by state coastal zone management programs in accordance with the Coastal Zone Management Act of 1972. OCRM transferred the collection to the NOAA Coastal Services Center Library in 1996. New items that are produced and submitted to OCRM are sent to the library after OCRM approval for the CZIC Collection. The collection provides data and information crucial to the understanding of U.S. coastal management and NOAA's mission to sustain healthy coasts. The resource library is a collection of transportation resources (e.g., sample planning documents, design guidelines, contract guidance, manuals, planning and management toolboxes, trainings, conference presentations, reports, case studies, best practices, etc.) specific to the Federal Land Management Agencies (FLMAs). To date the resource library has more than 150 documents and trainings to choose from and continues to be populated with new resources. This EPA resources page provides practitioners links to key resources to protect and restore fragile lake shorelands and to promote better lakeshore stewardship by property owners. This page contains an index of EPA documents related to water quality standards, including those referenced in the WQS Handbook. You can sort the index alphabetically, by publication date, or by topic. This site is designed to provide state, local, and voluntary watershed management entities with a variety of tools and information that will aide in successful watershed management. The Alliance is a stakeholder-based 501(c)3 non-profit organization dedicated to the efficient and sustainable use of water. The Alliance creates and maintains a web-based water conservation clearinghouse that offers product information, best practices specifications, research reports, training materials, program descriptions, codes and standards, program evaluation tools, drought planning and response, and professional expertise. The vision of American Forests is to have healthy forest ecosystems for every community. Their strategy for achieving the mission is to provide action opportunities to targeted audiences to enable them to improve their environment with trees. They do this by using the best science to identify conservation issues, then develop and market practical solutions that individuals and groups can apply. American Forests' targeted audiences are individuals, community groups, government at all levels, educators, and businesses. ARCSA promotes rainwater catchment systems in the United States through educational opportunities and the exchange of information at their Web site and through their workshops. The membership consists of professionals working in city, state, and federal government, academia, manufacturers and suppliers of rainwater harvesting equipment, consultants, and other interested individuals. AWWA is an international nonprofit scientific and educational society dedicated to the improvement of drinking water quality and supply. Founded in 1881, AWWA is the largest organization of water supply professionals in the world. Its more than 57,000 members represent the full spectrum of the drinking water community: treatment plant operators and managers, scientists, environmentalists, manufacturers, academicians, regulators, and others who hold genuine interest in water supply and public health. Membership includes more than 4,700 utilities that supply water to roughly 180 million people in North America. This is a partnership between EPA and the National Estuary Programs (NEPs) to address climate change in coastal areas. This effort brings together EPA's Oceans and Coastal Protection Division and Climate Change Division to build additional capacity in the NEPs and other coastal communities as they prepare to adapt to the effects of climate change. Other EPA offices, such as the Global Change Research Program, are supporting this effort as well. The purpose of Climate Ready Estuaries is to assist NEPs and coastal communities in becoming "climate ready" by providing tools and assistance to assess climate change vulnerability and plan for adaptation. When the United National Forum on Forests was formed in 2 002, this group was also formed to cooperate on forest issues and support the work of the UNFF. This is an interagency partnership to support the work of the UNFF and enhance cooperation and coordination on forest issues for the promotion of sustainable management of all types of forests. The CDHC was created in 2002, in response to the U.S. Coral Reef Task Force's (USCRTF) National Action Plan to Conserve Coral Reefs. CDHC is involved in activitie such as: sequencing the coral genome, setting diagnostic criteria, and developing diagnostic tools. Currently over 50 partners, including federal agencies, EPA, DOI, NOAA along with academia, non-profit and industry, contribute their time and expertise to the CDHC, while organizational infrastructure is supported by the Congressionally funded Coral Conservation Program. The DoD Natural Resources Program (NR Program) supports the military's testing and training mission by protecting its biological resources. The NR Program provides policy, guidance, and oversight for management of natural resources on approximately 29 million acres of military land, air, and water resources owned or operated by DoD. The NR Program's goal is to support the military's combat readiness mission by ensuring continued access to realistic habitat conditions, while simultaneously working to ensure the long-term sustainability of our nation's priceless natural heritage. FLTI is housed within the Western Transportation Institute (WTI) at Montana State University-Bozeman (www.westerntransportationinstitute.org). The FLTI works collaboratively across all of WTI's research areas to provide implementable transportation solutions for federal and public agencies that have responsibilities related to public land management, transportation, and resource protection. The Council was created in 1993 to change the dialogue about and the practice of sustainable forestry worldwide. The purpose of the U.S. branch of the FSC is to coordinate the development of forest management standards throughout the different biogeographic regions of the U.S., to provide public information about certification and FSC, and to work with certification organizations to promote FSC certification in the U.S.
An independent non-profit organization formed in 1998 to foster recognition and rewards in the marketplace for goods and service providers who practice Integrated Pest Management, or IPM. The Interagency Marine Debris Coordinating Committee (IMDCC) is an interagency body responsible for developing and recommending comprehensive and multi-disciplinary approaches to reduce the sources and impacts of marine debris to the nation's marine environment, natural resources, public safety, and economy. The IMDCC ensures the coordination of Federal agency marine debris activities both nationally and internationally, as well as recommends research priorities, monitoring techniques, educational programs, and regulatory action. Founded in 1972, IECA is a non-profit organization that serves as the premier global resource for the prevention and control of erosion. Developed in response to DOI Secretarial Order No. 3289, the LCCs were launched to better integrate science and management to address climate change and other landscape scale issues. By building a network that is holistic, collaborative, adaptive, and grounded in science, LCCs are working to ensure the sustainability of our economy, land, water, wildlife, and cultural resources. The 22 LCCs collectively form a network of resource managers and scientists who share a common need for scientific information and interest in conservation. Each LCC brings together federal, state, and local governments along with Tribes and First Nations, non-governmental organizations, universities, and interested public and private organizations. This organization is the result of an initiative launched in June 1994 among non-European temperate and boreal countries to develop and implement internationally agreed criteria and indicators for sustainable forest management. The 12 member countries are: Argentina, Australia, Canada, Chile, China, Japan, Republic of Korea, Mexico, New Zealand, Russian Federation, United States of America, and Uruguay The focus of the group is to advance the development and implementation of internationally agreed criteria and indicators for the conservation and sustainable management of temperate and boreal forests (outside Europe) at the national level. A directory of State Archaeologists for the United States and its possessions. State Archaeologists can answer questions regarding laws, procedures, current research, educational programs, and other aspects of archaeology for each state and possession. The purpose of this organization is to help people and organizations develop and implement measures to reduce vulnerability to drought. The NEP was authorized under the 1987 Amendments to the Clean Water Act to improve estuarine waters, habitats and living resources by working with partners and the public. Estuaries are places where rivers meet the sea. Under NEP EPA develops plans for attaining or maintaining water quality in an estuary. This includes protection of public water supplies and the protection and propagation of a balanced, indigenous population of shellfish, fish, and wildlife, and allows recreational activities, in and on water, requires that control of point and nonpoint sources of pollution to supplement existing controls of pollution. A not-for-profit organization founded in 1948 as the National Water Well Association. Their purpose is to provide guidance to members, government representatives, and the public for sound scientific, economic, and beneficial development, protection, and management of the world's ground water resources. Not-for-profit organization involved in the preservation of habitat, re-introduction of species, and conservation issues in general. NatureServe is a non-profit conservation organization whose mission is to provide the scientific basis for effective conservation action. NatureServe and its network of natural heritage programs are a source for information about rare and endangered species and threatened ecosystems. NatureServe represents an international network of biological inventories-known as natural heritage programs or conservation data centers-operating in all 50 U.S. states, Canada, Latin America and the Caribbean. NatureServe and its partners not only collect and manage detailed local information on plants, animals, and ecosystems, but develop information products, data management tools, and conservation services to help meet local, national, and global conservation needs. The Pacific Institute is dedicated to protecting our natural world, encouraging sustainable development, and improving global security. The Pacific Institute currently has five main areas of research: Water and Sustainability, Environment and Security, Community Strategies for Sustainability and Justice, Economic Globalization and the Environment, and Global Change working on a wide variety of topics. A consortium of twelve federal government Member agencies and over 350 non-federal Cooperators representing various disciplines within the conservation field: biologists, botanists, habitat preservationists, horticulturists, resources management consultants, soil scientists, special interest clubs, non-profit organizations, concerned citizens, nature lovers, and gardeners. PCA Members and Cooperators work collectively to solve the problems of native plant extinction and native habitat restoration, ensuring the preservation of our ecosystem. This site contains state or regionally-specific guides on native plant landscaping, grant programs, in invasive species. The members of the Sierra Club work together to protect our communities and the planet. The Club is America's oldest, largest and most influential grassroots environmental organization. A non-profit organization with a mission "to promote ecological restoration as a means of sustaining the diversity of life on Earth and reestablishing an ecologically healthy relationship between nature and culture." Founded in 1987, the Society now boasts members in 37 countries and all 50 US states, with 14 chapters serving regions of North America, England, Europe, Australia and India. The Society of American Foresters (SAF) is the national scientific and educational organization representing the forestry profession in the United States. The mission of SAF is to advance the science, education, technology, and practice of forestry; to enhance the competency of its members; to establish professional excellence; and, to use the knowledge, skills, and conservation ethic of the profession to ensure the continued health and use of forest ecosystems and the present and future availability of forest resources to benefit society. The Society is a non-profit organization founded in 1980 to promote wetland science and the exchange of information related to wetlands. The SFI program promotes responsible forest management in North America, and responsible procurement globally. To do this, SFI offers certifications of forests themselves as well as certifications that track wood and fiber from the forests to the end user. Two goals of the SFI program are first, SFI program participants practice sustainable forestry on all the lands they manage and second, they influence millions of additional acres through the training of loggers and foresters in best management practices. SFI Inc. is an independent, non-profit charitable organization. Established in 2002 to provide a forum that would address all issues related to forests in a coherent and comprehensive manner and a forum that would facilitate the exchange of experiences in the implementation of sustainable forest management practices by Governments and stakeholders. UNFF meets annually for two weeks and all Member States of the United Nations and States members of specialized agencies participate in the annual sessions. The Task Force was established by Presidential Executive Order 13089. Their mission is to lead, coordinate, and strengthen U.S. government actions to better preserve and protect coral reef ecosystems. The Task Force is co-chaired by the Departments of Commerce and of the Interior, and includes leaders of 12 federal agencies, seven U.S. states and territories, and three freely associated states. The goal of the partnership is to revitalize urban waters and the communities that surround them, transforming overlooked assets into treasured centerpieces and drivers of urban revival. The Partnership is led by the EPA, the DOI and the USDA and coordinated by the White House Domestic Policy Council. Each year the U.S. Department of Energy, in conjunction with the Federal Interagency Energy Policy Committee ("656" Committee), sponsors the Federal Energy and Water Management Awards. These awards honor individuals and organizations making significant contributions to the efficient use of energy and water resources in the federal government. The Gulf of Mexico Program Partnership developed the Gulf Guardian awards as a way to recognize and honor the businesses, community groups, individuals, and agencies that are taking positive steps to keep the Gulf healthy, beautiful and productive. The first Gulf Guardian Award winners were recognized in 2000. Every year since, a first, second and third place award are given in seven categories: Business, Civic/Non-Profit Organization, Partnerships, Youth/Education, Individual, Government, and Bi-National. This award is given to recognize efforts to promote the conservation of natural resources, including the identification, protection, and restoration of biological resources and habitats; the sound management and use of the land and its resources; and the promotion of the conservation ethic. Environmentally beneficial landscaping is also a factor in this award. These are annual awards celebrating the previous years' accomplishments/innovations. Nominations are typically accepted until March and the awards given in June. The National Wetlands Awards are presented annually to individuals who have excelled in wetlands protection, restoration, and education. The program is co-sponsored by the Environmental Law Institute, U.S. Environmental Protection Agency, Army Corps of Engineers, U.S. Fish and Wildlife Service, USDA Forest Service, USDA Natural Resources Conservation Service, Federal Highway Administration, and NOAA Fisheries. The Environmental Law Institute coordinates the awards program, while the federal agency co-sponsors provide financial support, serve on the selection committee and participate in the ceremony. This EPA website describes how cyanbacterial harmful algal blooms develop and how to prevent, detect, mitigate, and treat for them. The purpose of this guidance is to aid in the preparation of decommissioned military and commercial vessels using best management practices so they "will be environmentally sound in their use as artificial reefs," as required under Section 3516 of the National Defense Authorization Act for Fiscal Year 2004 (P.L. 108-136). Options for managing obsolete and decommissioned military and commercial vessels include reusing all or parts of the vessel, recycling or scrapping, creating artificial reefs, and disposing of vessels on land or at sea, according to the guidance. CZMP is a unique federal-state partnership that provides a proven basis for protecting, restoring, and responsibly developing the nation's important and diverse coastal communities and resources. State and federal coastal zone management efforts are guided by the CZMP's Strategic Framework, which is organized around three major themes: Sustain Coastal Communities, Sustain Coastal Ecosystems, and Improve Government Efficiency. This site provides program guidance, access to information on state programs, and major initiatives. Climate change is affecting coastal environments, calling for revised conservation approaches, and therefore must be considered in long-term planning. This guide provides a step-by-step approach for incorporating climate change information into new or existing conservation plans. The guide's six steps draw from existing strategic conservation planning frameworks but focus on climate considerations and key resources specifically relevant to the coastal environment, including coastal watersheds. An educational website to inform people on the sources, impacts, and solutions of the marine debris issue. On this site users can download informative marine debris brochures, posters, fact sheets, guidebooks, and activity books tailored to specific audiences, including beach goers, fishermen, boaters, students and educators. This document, dated June 2011, is a primer on more than a dozen approaches for ensuring that wetlands and beaches can migrate inland, as people remove buildings, roads, and other structures from land as it becomes submerged. These approaches are known as "rolling easements." This interagency guide includes a description of tools and techniques for applying smart growth guidelines, with case studies illustrating the guidelines in action. For example, communities can (1) protect and restore natural buffers between the community and water; (2) align natural hazard planning with development plans; (3) promote waterfront revitalization, including retrofitting historic properties for new uses; and (4) provide a variety of land and water-based options that accommodate seasonal fluctuations in transportation needs. This guide was developed by EPA, the U.S. National Oceanic and Atmospheric Administration, the International City/County Management Association and the Rhode Island Sea Grant Program, in consultation with the national Smart Growth Network. This guide provides an overview of adaptation options available to coastal managers to reduce their system's vulnerability to climate change impacts. This handbook summarizes the current state of National Park Service (NPS) climate adaptation and key approaches currently in practice or considered for climate change adaptation in coastal areas in order to guide adaptation planning in coastal parks. The chapters focus on policy, planning, cultural resources, natural resources, facility management, and communication/education. The handbook highlights processes, tools and examples that are applicable to many types of NPS plans and decisions. One chapter includes a case study of Hurricane Sandy response and recovery strategies including changes to infrastructure. Another chapter features practical coastal infrastructure information including cost per unit length of constructed features (including seawalls, beach nourishment, and nature-based features). The level of detail varies by topic depending on the state of research and practice in that field. This site explains U.S. Fish and Wildlife Service guidance and regulations related to emergencies involving acts of national defense or security emergencies and the conservation of candidate, threatened and endangered species as required under the Endangered Species Act. The purpose of the handbook is to provide information and guidance on the various consultation processes outlined in the regulations for endangered and threatened species management. Additionally, the handbook will ensure consistent implementation of consultation procedures by those biologists responsible for carrying out section 7 activities. Chapters of the handbook deal with major consultation processes, including Informal, Formal, Emergency, and Special Consultations; and Conferences. These bulletins are a part of EPA's Endangered Species Protection Program. Bulletins set forth geographically specific pesticide use limitations for the protection of threatened and endangered (listed) species and their designated critical habitat. The goal of the Endangered Species Act is the recovery of listed species to levels where protection under the Act is no longer necessary. The program uses a variety of tools and plans for species recovery. Recovery Plans are an essential part of the recovery program and plans that have been revised or finalized since 1989 are available electronically as well as species profiles. Developed by the Center for Watershed Protection, this September 2018 paper is intended to help the stormwater management community account for trees in runoff and pollutant load calculations and incorporate them into stormwater management strategies. It summarizes existing hydrologic and hydraulic models that can be applied at the site and small watershed scales to highlight the benefits of conserving trees and/or planting new trees. The paper also includes examples of specific techniques to modify stormwater models to account for urban tree benefits, as well as associated resources and tools for estimating the hydrologic benefits of trees in the urban landscape. This April 2012 guide provides federal, state, tribal and other natural resource managers with tools to more effectively address the complexities and uncertainties involved in natural resource management, especially under challenging conditions such as climate change. The Applications Guide includes case studies ranging from river flow management and protecting migratory birds to siting renewable energy projects. These are drawn from four areas important to Interior and its partners: climate change, water resources, energy, and human impacts on the landscape. The examples show the breadth of adaptive management applications at different scales and different levels of complexity. This guide examines how climate change is already affecting the nation's wildlife and habitats and addresses how natural resource managers will need to prepare for and adapt to these unprecedented changes. Developed by a collaboration of experts from federal, state, and non-governmental institutions, the guide offers practical steps for crafting conservation actions to enhance the resilience of the natural ecosystems on which wildlife and people depend. This publication was developed by a workgroup convened by the National Wildlife Federation and included individuals from: Desert Research Institute, EcoAdapt, U.S. EPA, Florida Fish and Wildlife Conservation Commission, Geos Institute, Maryland Department of Natural Resources, NOAA, National Park Service, Point Blue Conservation Science, The Nature Conservancy, U.S. Army Corps of Engineers, U.S. Fish and Wildlife Service, U.S. Forest Service, U.S. Geological Survey, and Wildlife Conservation Society. Developed by an inter-agency steering team, Eco-Logical encourages Federal, State, tribal, and local partners involved in infrastructure planning, design, review, and construction to use flexibility in regulatory processes. Specifically, Eco-Logical puts forth the conceptual groundwork for integrating plans across agency boundaries, and endorses ecosystem-based mitigation - an innovative method of mitigating infrastructure impacts that cannot be avoided. This manual identifies, documents, and encourages the use of environmentally sensitive maintenance of dirt and gravel roads. The document provides insight into using natural systems and innovative technologies to reduce erosion, sediment, and dust pollution while more effectively and efficiently maintaining dirt and gravel roads and gives the users a "tool box" full of environmentally sensitive maintenance "tools" and practices. Released in December 2012, this report examines the ways expanding populations, increased urbanization, and changing land-use patterns could profoundly impact natural resources, including water supplies, nationwide during the next 50 years. Significantly, the study shows the potential for significant loss of privately-owned forests to development and fragmentation, which could substantially reduce benefits from forests that the public now enjoys including clean water, wildlife habitat, forest products and others. These DOI guidelines provide guidance to cultural landscape owners, stewards and managers, landscape architects, preservation planners, architects, contractors, and project reviewers prior to and during the planning and implementation of project work. This plan is specific to each individual program and addresses all aspects of environmental protection for the estuary, including issues such as water quality, habitat, living resources, and land use. The CCMP is based on a scientific characterization of the estuary, and is developed and approved by a broad-based coalition of stakeholders. You will also find examples of active CCMPs here. Issued by the USDA, this report addresses the state of the forests in the United States and the indicators of national progress toward the goal of sustainable forest management. The land use and soil erosion portions of the inventory has been updated. The NRCS Strategic Plan sets the direction and priorities for NRCS in all activities in helping people help the land. The plan will be used to develop tactics to deliver on their core mission. This Synthesis and Assessment Product 4.4 (SAP 4.4) analyzes information on the state of knowledge of adaptation options for key, representative ecosystems and resources that may be sensitive to climate variability and change. The report identifies strategies to protect the environment as these changes occur. This newly issued report (January 2008) contains 17 case studies from across North America that show the economic viability of LID practices. Using these practices in construction projects can lower costs while improving environmental results. The report highlights examples that, in most cases, reduce project costs while improving environmental performance. Total capital savings ranged from 15 to 80 percent, with a few exceptions in which LID project costs were higher than conventional stormwater management costs. As LID practices become more common, it is likely that they will become cheaper to use. Every community should establish a tree canopy goal for their community as an important step in ensuring that their valuable green infrastructure is maintained at minimum thresholds, even as the community continues to develop. Each community must first identify what their tree canopy cover is, and then set their own goals to help meet environmental and quality of life goals, including federal and local clean air and water regulations. Once a specific goal is determined, the local government can pursue that goal using policies, procedures, and budget. Every drop of water saved in the U.S. saves energy, and every unit of energy saved saves water. That overlap has come to be known as the "energy-water nexus." This report, from the American Council for an Energy -Efficient Economy (ACEEE) and the Alliance for Water Efficiency combines the energy efficiency community and the water efficiency community. The report develops a blueprint for future joint efforts and envisions a policy agenda that could drive actions at the federal, state, local, and watershed levels. Multiple Army installations are participating in an energy-conserving pilot program to only use as much energy as they create by 2020. The initiative will focus on energy as well as water and waste usage. Promotes simple ways of reducing the amount of water used for irrigation include growing xeriphytic species (plants that are adapted to dry conditions), mulching, adding water retaining organic matter to the soil, and installing windbreaks and fences to slow winds and reduce evapotranspiration. Published November 2012 by the American Water Resources Association, this document showcases state, multi-state, and regional efforts to implement Integrated Water Resources Management (IWRM). In particular, this collection of case studies highlights the effectiveness of IWRM at all levels of water management and discuss the process of shifting to an IWRM approach and the resulting costs and benefits. This website provides an overview of how the WBDG approaches water conservation and links to the applicable codes and case studies. The latest generation of water-saving, high-efficiency toilets must use less than 1.3 gal per flush and meet performance standards for quality in order to qualify for EPA's WaterSense label. A voluntary public-private partnership that identifies and promotes high performance products and programs that help preserve the nation’s water supply (EO 13423, Section 2(c)). This guide, dated May 2013, provides a summary of the 2008 handbook and also highlights some new watershed-related tools that have been developed since 2008 that can be used for more effective decision-making leading to improved management of our water resources. This report, EPA/600/R-06/037F, was prepared by the National Center for Environmental Assessment (NCEA) within EPA's Office of Research and Development (ORD). This report supplements the Guidelines for Ecological Risk Assessment (ERA) (U.S. EPA, 1998a) by addressing issues unique to ecological assessments of watersheds. Using lessons learned from watershed ERAs, the report presents guidance and examples for scientists performing watershed ecological assessments. The report also can be useful to risk assessors, watershed associations, landscape ecologists, and others seeking to increase the use of environmental assessment data in decision making. This document is an update to Saving Bays and Estuaries, published in 1989. Questions about managing pollution runoff, increasing wildlife habitat and controlling invasive species in the nation's estuaries are among those addressed in this document. Green infrastructure is an approach to wet weather management that is cost-effective, sustainable, and environmentally friendly. Green Infrastructure management approaches and technologies infiltrate, evapotranspire, capture and reuse stormwater to maintain or restore natural hydrologies. Developed by EPA's Office of Wetlands, Oceans, and Watersheds, this document is designed to help anyone undertaking a watershed planning effort, but should be particularly useful to persons working with impaired or threatened waters. It contains in-depth guidance on quantifying existing pollutant loads, developing estimates of the load reductions required to meet water quality standards, developing effective management measures, and tracking progress once the plan is implemented. New materials were added to the handbook including ways to protect important elements of the landscape and aquatic habitats within a watershed. This EPA document, issued February 2013, supplements the Handbook for Developing Watershed Plans to Restore and Protect Our Waters. The webinar is intended to encourage the inclusion of proactive wetland management in the watershed planning process. The supplement promotes using a watershed approach that protects existing freshwater wetlands and maximizes opportunities to use restored, enhanced, and created freshwater wetlands to address water quality problems. This EPA website provides guidance on the types and methods for watershed assessments as well as actual assessment reports. LID is an approach to land development (or re-development) that works with nature to manage stormwater as close to its source as possible. This guidance helps citizens and municipalities in urban areas protect bodies of water from polluted runoff that can result from everyday activities. These scientifically sound techniques are the best practices known today. The guidance will also help states to implement their nonpoint source control programs and municipalities to implement their Phase II Storm Water Permit Programs. This is publication number EPA 841-B-05-004, November 2005. EPA's redesigned nutrients web site now houses new information and tools that will help states, territories, and tribes establish and meet numeric water quality criteria for nitrogen and phosphorus. The new tools include: Scientific Literature Reviews, Wetlands Criteria Technical Guidance, Webcasts, and the BMP and Treatment Technologies Clearinghouse. The clearinghouse contains EPA-evaluated data sets on (1) agricultural best management practices (BMPs) and conservation practices, (2) National Pollutant Discharge Elimination System (NPDES) stormwater BMPs, (3) Publicly Owned Treatment Works (POTW) treatment technologies, and (4) Water Environment Research Federation (WERF) stormwater data. Prepared by U.S. EPA, this report is the first consistent evaluation of the streams that feed rivers, lakes, and coastal waters. "Wadeable streams" are those which are shallow enough to be adequately sampled without a boat. Conducted between 2000 and 2004, the study was based on sampling at 1,392 sites selected to represent the condition of all streams that share similar ecological characteristics in various regions. It was a collaborative effort that involved dozens of state environmental and natural resource agencies, federal agencies, universities and other organizations. More than 150 field biologists were trained to collect environmental samples using a standardized method. This September 2014 handbook is intended to advance the use of a "watershed approach" in the selection, design, and siting of wetland and stream restoration and protection projects. Using a watershed approach can help ensure that these projects also contribute to goals of improved water quality, increased flood mitigation, improved quality and quantity of habitat, and increases in other services and benefits that result from ecologically successful and sustainable restoration and protection projects. This report was prepared by the Environmental Law Institute (ELI) and The Nature Conservancy (TNC) with funding from the U.S. Environmental Protection Agency (EPA). Links to projects at the national, regional, state, and local scales. Published by EPA, this document describes the 10 recommended elements of a wetland monitoring and assessment program including a program strategy, monitoring objectives and design, and data management. It further describes wetland-specific assessment approaches available to states and tribes. This report was issued by NatureServe, a nonprofit conservation group that supports and supplements species data collection and analysis efforts at the U.S. Geological Survey, the U.S. Fish and Wildlife Service (FWS), and the Environmental Protection Agency. This report indicates that that nearly a third of at-risk plant and animal species found on wetlands, which are geographically isolated from lakes, rivers, and streams, cannot be protected either by the nation's clean water or endangered species laws. This is a compilation of 17 constructed wetland system case studies. This document provides technical guidance and reference for use by state, territory, and authorized tribal managers as well as the public in the implementation of nonpoint source (NPS) pollution management programs. The guidance contains information on the best available, economically achievable means of reducing nonpoint source pollution through the protection and restoration of wetlands and riparian areas, as well as the implementation of vegetated treatment systems. The NWCA is a collaboration between EPA and its state, tribal, and federal partners representing a national field survey on the health of the nation's wetlands. More than 1,000 sites across the country are being surveyed to assess indicators of wetland health, including water quality and flow, vegetation, and soils. The survey is designed to provide regional and national estimates of wetland ecological integrity and rank the stressors most commonly associated with poor conditions. This 2009 EPA Guidebook has been developed expressly to assist communities in developing an integrated stormwater management system which includes proper maintenance of existing wet ponds and wetlands, the exploration of retrofit opportunities, as well as the implementation of micro-treatment practices and low impact development (LID) design principles. This guide was developed by DOI and a group of electric companies (the Avian Power Line Interactive Committee) to help the industry protect birds from electrocution on utility poles and power lines. The suggested practices volume provides technical instructions to help utilities implement some of the electrocution avoidance measures called for in the Avian Protection Plans. This workbook contains basic information on programs in USDA that could be used to fund invasive species related projects. Developed in 2010 by TRIPTAC, this introductory training webinar will describe partnerships and explain why agencies MUST partner to ensure the success of alternative transportation system (ATS) planning projects. The training will offer an exploration of the steps involved in developing partnerships, discuss the benefits of partnering, and identify the essential elements of sustaining good working relations with partners. Different public involvement mechanisms will be explored for planning and its relation to partnerships. Additionally, participants will learn ways that other land managers have been successfully partnering on ATS projects and discuss the process and benefits of putting together various partnership agreements. Offered through the U.S. Fish and Wildlife Service National Conservation Training Center and based on the new guide, "Climate-Smart Conservation: Putting Adaptation Principles into Practice", this course is designed to clarify climate adaptation for application to on-the-ground conservation. It will provide guidance on how to carry out adaptation with intentionality, how to manage for change and not just persistence, how to craft climate-informed conservation goals, and how to integrate adaptation into on-going work. Course participants will learn to become knowledgeable consumers of climate information, tools, and models. The target audience includes conservation practitioners and natural resource managers working at multiple scales to ensure the ongoing effectiveness of their work in an era of climate change. This course is based on the new guide 'Climate-Smart Conservation: Putting Adaptation Principles into Practice.' This publication is the product of an expert workgroup on climate change adaptation convened by the National Wildlife Federation in collaboration with the FWS's National Conservation Training Center and other partners. The course is designed to demystify climate adaptation for application to on-the-ground conservation. It will provide guidance in how to carry out adaptation with intentionality, how to manage for change and not just persistence, how to craft climate-informed conservation goals, and how to integrate adaptation into on-going work. Conservation practitioners and natural resource managers will learn to become savvy consumers of climate information, tools, and models. Offered by the Northwest Environmental Training Center (NWTC), this 1-day course addresses understanding, controlling and managing invasive fish through early detection and assessment, with emphasis on control and management methods. This course is intended for biologists, ecologists and managers seeking an improved understanding of non-native invasive fish species and the methods for prevention, controlling and managing them. During this Northwest Environmental Training Center (NWETC) online course the specific technical and regulatory approaches to completing ecological risk assessments will be reviewed, with a focus on providing a hands-on understanding of an ERA, including the data collection aspects of the various lines of evidence used. Case studies of both aquatic and terrestrial settings will be examined, and active engagement with the attendees will reinforce the points presented. This Northwest Environmental Training Center (NWETC) online course will be focused on the general policy and technical approaches to conducting an ecological risk assessment. It will provide a broad overview of the ecological risk assessment (ERA) process as it is used in evaluating potential environmental risks and liabilities associated with hazardous waste sites using the basic ERA paradigm as outlined in USEPA's Ecological Risk Assessment Guidance for Superfund (ERAGS). ERA's in both aquatic and terrestrial settings will be examined, and active engagement with the attendees will reinforce the points presented. Presentation given during the 2010 DOI Conference on the Environment in April 2010. The focus is on provisions of ESA and other laws governing species management, agency policies, procedures, and taking action to prevent listings. Review of law and agency policy relating to the management of threatened, endangered, and sensitive species. Particular attention will be paid to building appropriate administrative records of decisions, and the roles of all the players. Discuss obligations for consultation and recovery under the ESA. Interactive lectures, roundtable discussions, exercises, a field trip, and panels are used to facilitate learning. Challenging case studies are used to explore managing TES species across landscapes and jurisdictions in an effort to develop best management practices. This course provides basic information regarding all aspects of endangered species petition management, candidate assessment, PECE evaluation, critical habitat designation and listing/delisting determinations. Case studies and interactive exercises are used to reinforce instruction. This course is offered by U.S. FWS National Conservation Training Center. Instruction covers the technical, policy, and practical aspects of recovery planning and implementation for threatened and endangered species. This course will enhance your ability to plan for and effectively implement conservation actions for listed trust species and their habitats. Topics covered include: statutory framework, purpose and steps of recovery plan development, how and why to involve stakeholders, working with recovery teams and partners, policies and guidance relevant to recovery, the relationship of recovery to all parts of the Endangered Species Act, 5-year reviews, the application of conservation tools such as decision analysis and adaptive management to recovery efforts, recognizing recovery and preparing for delisting, and monitoring. Case studies and exercises are included to reinforce lecture sessions. This course if offered by the U.S. FWS. This online training resource will assist states or federal agencies to determine when it is appropriate to request a Section 18 emergency exemption from EPA and what a complete application includes. Other stakeholders in this process will find this resource helpful to better understand the purposes and processes of the Section 18 program. This training was developed by UC Davis Extension through the Pesticide Regulatory Education Program (PREP) Cooperative Agreement funded by EPA. Welcome to the Watershed Academy's module on forestry best management practices (BMPs) in watersheds. This module, along with similar modules on agriculture and urban management, is about controlling impacts from common land use activities that often affect watersheds, water quality, and the condition of aquatic ecosystems. After completing this module, you should be familiar with the steps commonly involved in planning and carrying out timber harvest and reforestation, and several of the basic ways to reduce or avoid impacts on water resources during these activities. Self-test questions appear at the end of the module's eight sections. Offered by the U.S. Army Corps of Engineers, this course provides an introduction and overview of basic wetland ecological concepts and principles in the context of planning and operating civil works environmental and mitigation projects. This is course number 272. The course addresses the basic steps and processes regarding Habitat Conservation Planning under Section 10(a)(1)(B) of the Endangered Species Act. Case studies and interactive exercises are used to reinforce lecture sessions. This training is offered by the U.S. Fish and Wildlife Service, National Conservation Training Center. This 2-day course provides participants first with a broad overview of Site Restoration/Mitigation, and then expands to an examination of specific steps used for innovative restoration and mitigation planning and implementation, applicable to western North America. Offered by the U.S. Forest Service, topics in this 5-day course include an overview of wildlife issues relative to pre-existing highways and future highway planning; differences in impacts and solutions between low volume and high volume roads; structural and nonstructural solutions to wildlife mortality and habitat connectivity; mitigation and funding for existing highway impacts to wildlife including loss of habitat connectivity and vehicle-caused mortality; and an introduction to current resources on wildlife/highway crossings and interactions, The target audience is resource management biologists and engineers. The class is open to federal, state, and private applicants. Offered by the U.S. FWS, participants acquire basic information on conducting interagency consultation under Section 7 of the Endangered Species Act. Key information needs and procedures are addressed, with a focus on the information needs related to biological assessments and biological opinions. Lecture and discussion emphasize interagency exchange of information and solutions to support species conservation. This USFWS course is an overview of the species status assessment (SSA) framework, which is an analytical approach developed by the U.S. Fish and Wildlife Service to deliver foundational science information for all Endangered Species Act decisions. The overview will cover the basic concepts and minimum requirements of an SSA and will show you how to diagnose the level of complexity and expertise required to complete an SSA. Although the overview won't cover technical methods in detail, it will introduce the participant to some of the tools and resources available to conduct SSA's with an emphasis on those of low to moderate complexity. Offered through support from the Nature Conservancy, this curriculum, consists of three, self-paced, online courses, provides a basic level of understanding of the basics of climate change, deforestation and forest degradation, and the REDD+ concept. Offered by U.S. FWS, this course is designed to give participants a working knowledge of the legal and conservation implications of the MBTA, with special attention to the responsibilities of the Fish and Wildlife Service, through all of its programs, for migratory bird conservation. Partnerships, resources and initiatives which address migratory bird conservation will also be discussed in detail, providing participants an excellent overview of how they can further implement migratory bird conservation. Training is available upon request on topics such as: ArcGIS, Metadata, Managing Visitor Use in Coastal and Marine Protected Areas, The Coastal Zone Management Role in Managing Hazards. Understanding Marine Protected Areas Survival Skills for Managing Coastal Resources. This is not a complete listing of topics. This course will provide general information regarding, origins and evolution of Pacific North American Salmon, life stages of salmon and trout in both coastal and inland streams, the habitat requirements applicable to each life stage, substrate quality and hydraulic flow affecting spawning behavior and redd success, how habitat features, in-stream complexity, bank structure and large woody debris influence success of salmonids at different life-stages, how water chemistry, water temperature and food availability affect trout and salmon behavior; and how migration patterns can be impeded or enhanced by changes in flow, water quality, barriers or obstacles. How can we restore form and function to rivers, streams, and wetlands that support Pacific Salmon? This course provides the intellectual tools to tackle assessment monitoring and restoration design of Pacific salmonid habitat. This webinar from September 2014 assist NRCS conservation planners, partners, and technical service providers to understand the importance of Essential Fish Habitat, Coastal Zones, and Coral Reefs, and how to properly analyze and document existing conditions and the effects of planned conservation actions. Primary topics include: legal foundations, information/data sources, tools, mitigation measures, and documentation requirements including examples. Pollinators are a key part of the economy and vital to the production of many of our favorite foods. In 2014 federal facilities were directed to help reverse pollinator losses and restore populations for this crucial group of animals. Since receiving this direction many federal facilities have been working to increase their pollinator habitat and reporting their successes to the Federal Green Challenge (FGC). This FGC webinar recorded on 18 July 2018 will help facilities focus on increasing the amount of milkweed available for monarchs though the use of new mapping tools and a case study from a federal facility that has increased the amount of milkweed on its landscape. Developed in 2010 by TRIPTAC, the goals of this module are to 1) introduce participants to the critical transportation-related concerns and considerations faced by federal land management agencies (FLMAs) and gateway communities, 2) describe how these concerns affect visitors' experiences and the unit resources, 3) outline the different alternative transportation systems options available to planners, 4) provide participants with a framework for evaluating alternative transportation systems, and 5) prepare participants for the rest of the module series. This module is available in PDF or streaming format and is offered by the Federal Lands Transportation Institute. A resource guide that presents helpful information for installation leaders who seek to work with local government officials to address encroachment, compatible land use and other sustainability issues that threaten the testing and training mission. It was developed by the International City/County Management Association and the National Association of Counties in partnership with the Sustainable Ranges Initiative in the Office of the Secretary of Defense.